It has been quite an adventure! 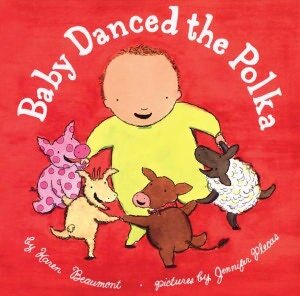 In the last seven weeks, we've made a long journey through some of the greatest children's picture books ever made. 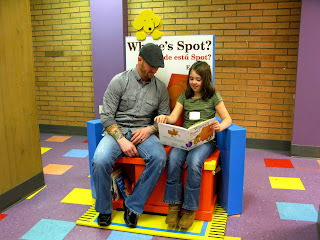 This week, we look at our last Storyland title: Where's Spot? by Eric Hill. It's suppertime and Spot the puppy can't be found! His mother searches high and low trying to find where Spot is hiding. She gets help along the way from a series of animals and finally uncovers her lost little guy! 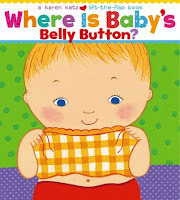 Now, in my honest opinion, it isn't the story that makes Where's Spot? so much fun... it's the lift-the-flap technology!! Toddlers especially enjoy lifting the flaps to see if Spot is hiding in the clock, the closet or in the piano. 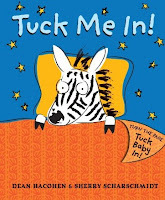 Every time we encounter a new hiding place, the book asks us a very simple question: "Is he under the bed?" Up until the very end, whenever we lift the flap we are met with a different animal who answers one word: "no". The author's use of speech balloons and the repeated word "no" presents us with a great opportunity to point out how the printed word and books work. We can point to the word no as we read "no". After kids have enjoyed the book a number of times, we can more explicitly call their attention to the speech balloons. We can say something like: "Hey! Have you noticed that all the animals say 'no' and that they all have this word next to them? Did you know that this says no?! Pretty cool!" We call a child's understanding of how books and printed words work print awareness. Print awareness involves many different concepts, such as how we read text from left to right and top to bottom. It also includes a basic understanding of how a book works! Books with moveable parts, like Where's Spot?, give kids the chance to explore the mechanical side of books.This will ultimately help them when they begin to learn how to read. 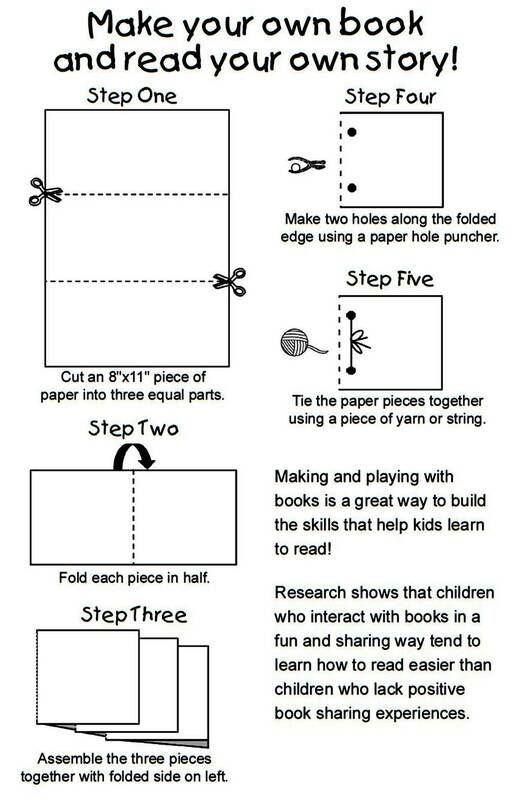 You can easily tape or glue some paper flaps onto the pages and turn your child's book into a lift-the-flap book! When children play with books in meaningful ways, their enjoyment of books grows. The Storyland exhibit is on display at the Portland Children's Museum until May 5, 2013. Visitors can sit on top of Spot's trunk, flip tiles to reveal Spot and play with Spot's basket. To visit the Children's Museum for free, contact your local Washington County library today and arrange to check out a Cultural Pass. It's nap-time on the farm... but baby just isn't tired. Flaps can be lifted to reveal baby getting down with a host of funny animals. Baby faces are hiding behind the flaps in this over-sized board book. After seeing babies in all kinds of moods, a mirror lets the reader practice making faces. Title: Duck's Key: Where Can It Be? 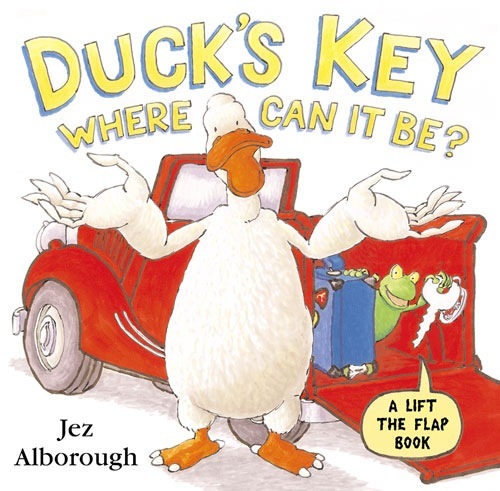 Duck has lost his key. Lift-the-flap and help him find it. 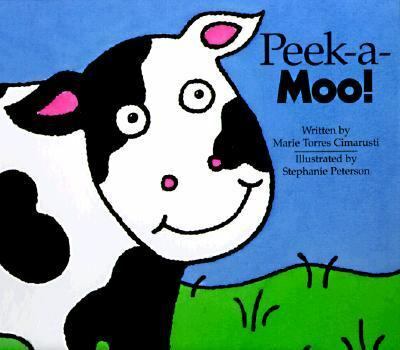 Few books do such a good job helping kids prepare for later life as an adult. Demystifying the world of the potty, flaps lift back to show how everybody uses it. 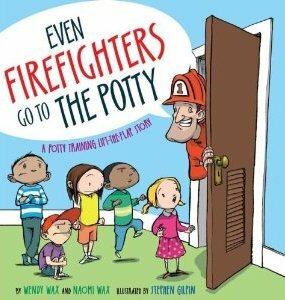 Potty training doesn't get any better than this! Q: What is the best way to learn animal names? A: Play peek-a-boo with them!!! 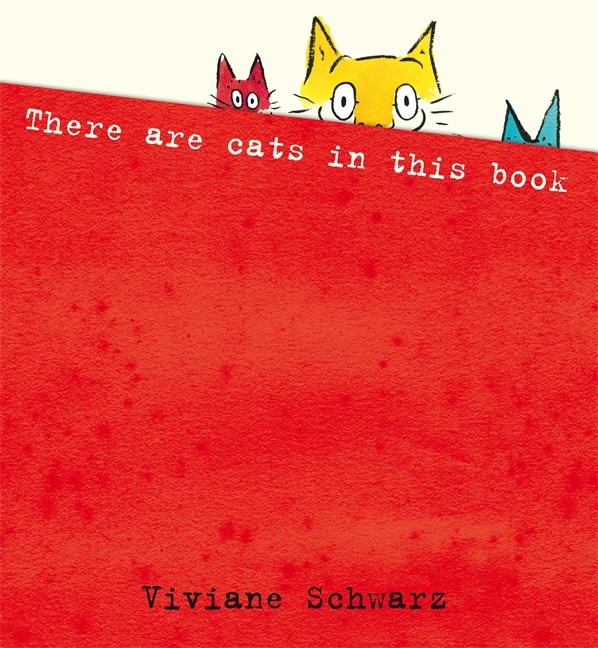 A series of flaps let the reader interact with a bunch of playful cats. An extremely creative lift-the-flap book! 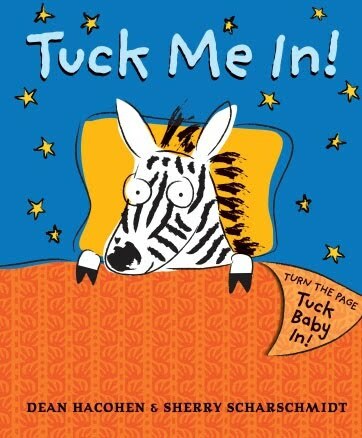 A different take on the lift-the-flap book... this time, the flaps are used as bed covers to tuck in animals! 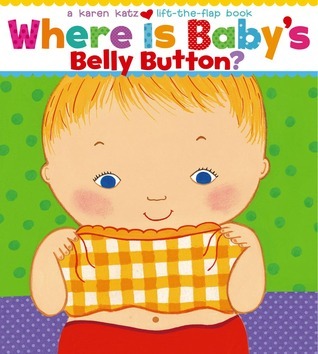 Title: Where is Baby's Belly Button? Baby's clothes hide her many body parts and provide kids with a fun way to learn their names!